Chevron Corp. signage stands at the entrance to the company's corporate headquarters in Richmond, Calif., on April 6, 2012. Paul, Weiss, Rifkind, Wharton & Garrison advised Chevron Corporation in its $33 billion acquisition of Anadarko Petroleum Corporation, which was represented in the transaction by Wachtell, Lipton, Rosen & Katz and Vinson & Elkins. 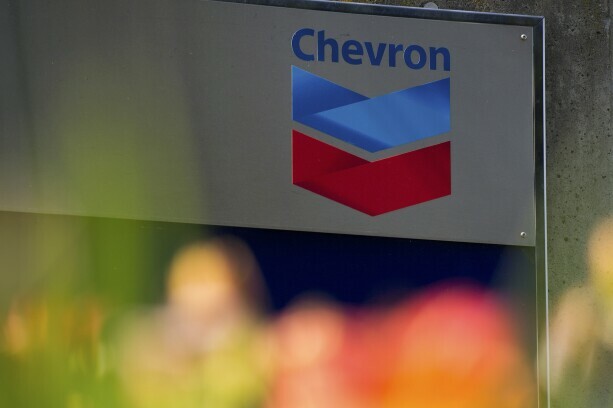 Chevron will buy the medium-sized oil company in a stock and cash transaction, with Anadarko stockholders receiving about $65 per share in total. The deal is one of the energy industry’s largest in the past several years. Michel K. Wirth, Chevron’s chief executive, said in a statement that the deal would boost the company’s “positions in large, attractive shale, deepwater and natural gas” areas. Chevron, based in San Ramon, Calif., is the second largest energy producer in the United States, following Exxon Mobil. The Anadarko acquisition will likely put its oil and gas production neck-and-neck with Exxon Mobil’s. Chevron’s legal advisors at Paul Weiss included corporate partners Scott Barshay, head of the firm’s mergers and acquisitions practice, along with Steven Williams and John Kennedy; tax partner Jeffrey Samuels, employee benefits partner Lawrence Witdorchic; litigation partner Jeffrey Recher; intellectual property partner Claudine Meredith-Goujon, and nine other lawyers. Anadarko, based in the Houston area, has domestic and international oil and gas fields. It also has large shale drilling operations and has been active in discovering and developing natural gas in the African country of Mozambique. Anadarko has also been active in Algeria. Its Wachtell Lipton advisory team is led by corporate partners Daniel A. Neff and Gregory E. Ostling. They were assisted by three corporate associates. Also on the team was Adam J. Shapiro, a partner in executive compensation and benefits, and an associate; Eric M. Rosof, a finance partner, and two associates; as well as Joshua M. Holmes, a tax partner. Vinson & Elkins also acted as legal advisor to Anadarko. The firm’s corporate team advising Anadarko was led by chairman and partner Mark Kelly and partner Lande Spottswood. In addition, partners Brian Bloom and David D’Alessandro and an associate advised on executive compensation and benefits issues. With his purchase of Anadarko, Chevron strengthens its market position in large shale projects and positions itself in the liquefied natural gas market.